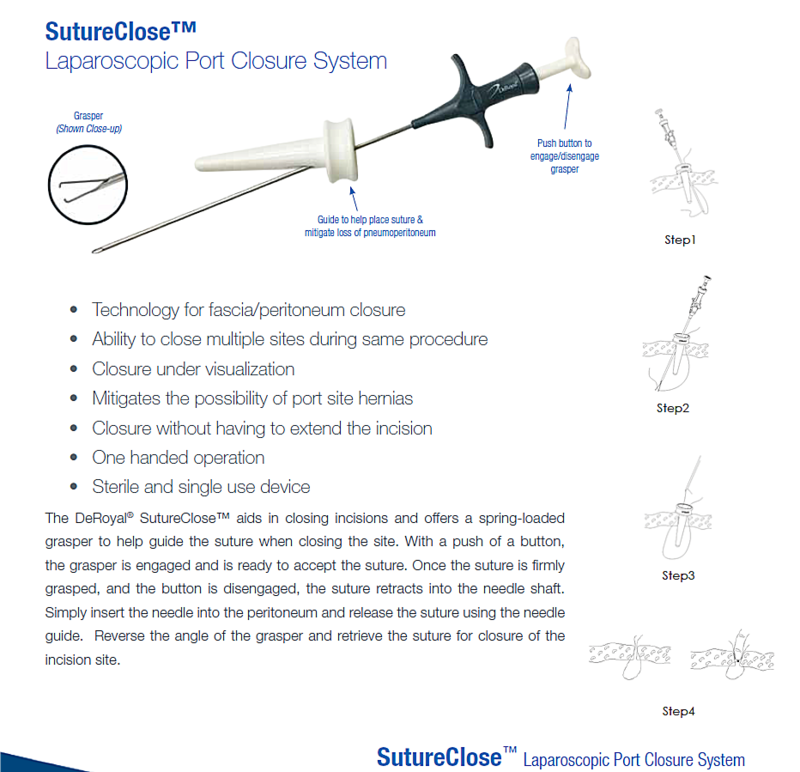 The DeRoyal® SutureClose™ aids in closing incisions and offers a spring-loaded grasper to help guide the suture when closing the site. With a push of a button, the grasper is engaged and is ready to accept the suture. 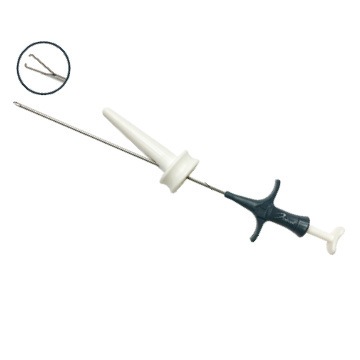 Once the suture is firmly grasped, and the button is disengaged, the suture retracts into the needle shaft. Simply insert the needle into the peritoneum and release the suture using the needle guide. Reverse the angle of the grasper and retrieve the suture for closure of the incision site.